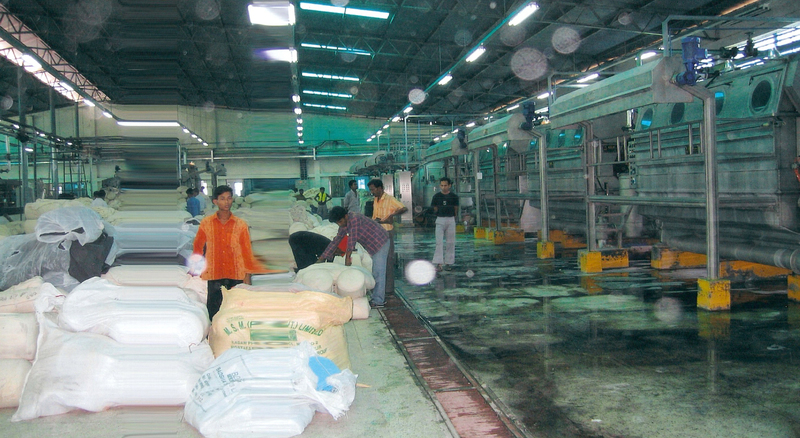 Ababil has dyeing and finishing facilities with 10.0 tones production capacity per day. It has the latest machinery for fabric dyeing & finishing. The state-of-the-art equipment re-enforced with its intensive experience and expertise results in a clone-like uniformity of the dye house material. In dyeing section Ababil uses Fong’s brand machines for high temperature and atmospheric dyeing. In finishing section Ababil is using the world’s latest technology of well-known brand TUBE-TEX machine from USA and SANTEX brand machine from Switzerland. It has both the facilities open width and tubular finishing.The shade of every lot of the finished fabrics is verified with data color brand color matching system. Developed By : Bijoy Online Ltd.